He will just grow out of it! How many times have a heard this. I have just seen a boy with severe eczema, food allergies, who is quite miserable. His mother is doing the best that she can and each time she takes him to her doctors they say “he will just grow out of it”. How irritating for the parents to hear this each time. This means that his doctor does not know how to manage allergies and is just fobbing these parents off. The same doctor is unlikely to say “just get over it” to an adult with Rheumatoid Arthritis or Heart Disease. In my opinion, established disease which causes symptoms should be managed – not ignored! Children with eczema and other allergies can very much be helped. Start to think about food allergy/ intolerance. 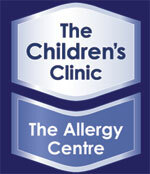 In our allergy clinic (the Childrens Clinic | Allergy centre, Christchurch), every day I see children who have been suffering with allergies for years but without anyone really getting to the bottom of the problem. These children need investigation (usually skin tests or blood tests). Their allergies need to be clearly documented and a management plan implemented. This is what we do in The Children’s Clinic: where we take allergies seriously.